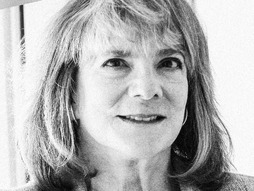 In a recent TED talk about memory, psychology professor Elizabeth Loftus misrepresented the basic facts of a case study that led her to hire a private investigator and write an article that prompted the subject of the case study to sue her for invasion of privacy. Loftus has mentioned the civil suit frequently in recent appearances and told audiences how terribly unfair it was that she was sued. Given the importance of these events to Professor Loftus, one wonders why she misrepresented the basic facts of the underlying case. Loftus said the case was about a women who “accused her mother of sexual abuse based on a repressed memory” (See the 13-minute mark of this talk). That is not true. The accusation against her mother came in an evaluation when the child was 6 years old! What makes the underlying case so important is that the girl forgot the details, which had been videotaped at the time, and recalled them spontaneously at age 17. Here is the article that documents those events, which occurred under the supervision of the doctor who conducted the original interview. (She had sought him out because she wanted to know what happened to her as a child.) There is much more to say about how Loftus investigated this case. But for now, it is telling, to say the least, that Loftus misrepresented the facts. Presumably she thinks that audiences are more likely to find her actions in this matter sympathetic if the underlying case was an accusation based on a dubious-sounding recovered memory. Whatever her motivation, there is no question the version presented in her TED talk is false. We await the correction that should occur after a scientist commits an error like this.